Get involved - #ShowYourRare for Rare Disease Day 2019! Launched in 2018, #ShowYourRare is the interactive social media campaign for Rare Disease Day. Anyone around the world can get involved by painting their face and sharing a selfie on social media using the hashtag #ShowYourRare in solidarity with people living with a rare disease. 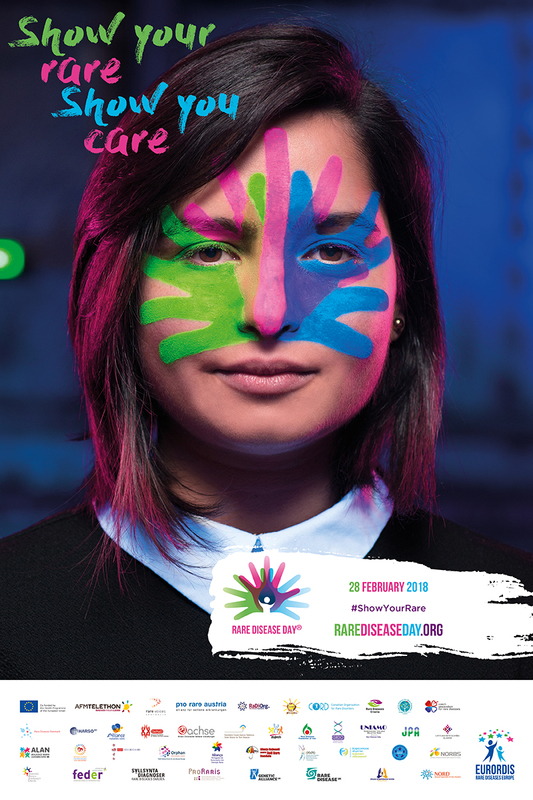 #ShowYourRare was the inspiration behind the Rare Disease Day 2018 poster and video. Last year’s campaign saw supporters from around the world paint their face during the month of February for Rare Disease Day. #ShowYourRare is a global campaign - selfies were shared on social media from Finland to India, and the Philippines to Algeria! Let’s make #ShowYourRare bigger than ever for Rare Disease Day 2019! Take part at any time during the month of February in the lead up to Rare Disease Day 2019 on 28 February! Don’t want to paint your face? No problem! You can still get involved by posing with the #ShowYourRare social media board. Check out these photos from last year to get inspired to #ShowYourRare for Rare Disease Day 2019! Download the Show Your Rare infosheet or get more information on how to participate in the Show Your Rare campaign.